A good vacuum drying chamber can greatly reduce the boiling point of the liquid to be expelled in vacuum environment, so the vacuum drying chamber can be easily applied to heat sensitive substances, and the vacuum drying chamber can effectively shorten the drying time of some powder or other granular samples which are not easy to dry. In terms of temperature, we have to say heat preservation and sealing. At present, most drying boxes are mainly made of fibre cotton, and a few of them are made of polyurethane. In terms of heat preservation effect, polyurethane has better heat resistance and insulation effect than fibre cotton. Generally, polyurethane can keep the high temperature inside the box stable for several hours. It is worth mentioning that polyurethane has high thermal insulation performance, which can effectively prevent the operator from being scalded by excessive temperature outside the box. When the drying box made of fibre cotton is in high temperature, it can only keep the temperature in the box stable through the constant control and adjustment of the temperature controller. In this case, the working strength of the fan and the controller is greatly increased, and the service life of the drying box is reduced. In the later period of maintenance, because polyurethane is injected into the box as a whole, maintenance will be particularly cumbersome. It is necessary to remove all polyurethane and then inject it into the box after repair. Fiber cotton is not so troublesome and easy to operate. And the price of fiber cotton on the market is very cheap, can meet most of the insulation requirements, widely used. So the thinner the fibre cotton, the bigger the thickness, the better the insulation effect. Generally, the shell of drying box is made of cold-rolled steel plate, but the thickness difference is very big. Because of the vacuum environment inside the vacuum drying box, in order to prevent atmospheric pressure from destroying the box, its shell thickness is higher than that of the blast drying box, so the thicker the steel plate, the better the quality, and the longer the service life. In order to facilitate observation, the door of the drying box will be equipped with glass windows, tempered glass and ordinary glass inlaid on the door. The vacuum drying box door is made of double-layer tempered glass structure. The price will be a little more expensive than the ordinary one, but it is better than the beautiful appearance and the safety of the experimenters is better guaranteed. The inner liner of vacuum drying box generally has galvanized sheet and mirror stainless steel. Galvanized sheet is easy to rust during long-term use, which is not conducive to maintenance. Mirror stainless steel has clean appearance, easy maintenance and long service life. It belongs to high-grade inner liner material, but its price is slightly higher than galvanized sheet. The number of inner liner layers can be increased according to demand. The selection of fan for vacuum drying box is very important. The manufacturer of our company's Kangheng Instrument Laboratory equipment chooses imported fan. The low noise and high performance fan will not produce the same noise as the ordinary fan in the process of using, and the circulation effect is good and the temperature rise is fast. For the use environment, it can reduce a lot of noise. 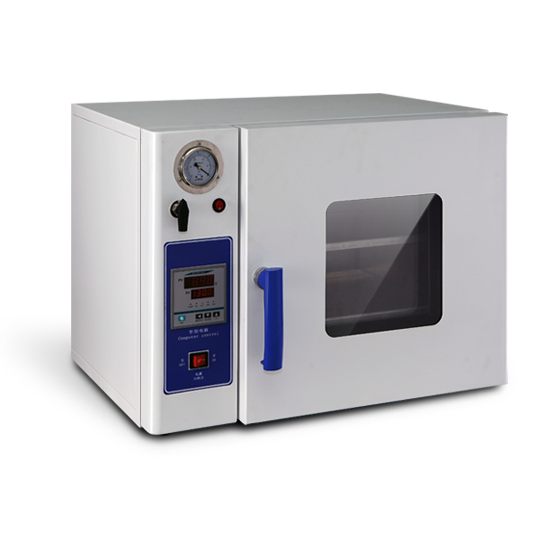 Generally speaking, the vacuum drying box will not have the function of controlling time. If necessary, it can be proposed to add one to avoid the trouble caused by manual control.